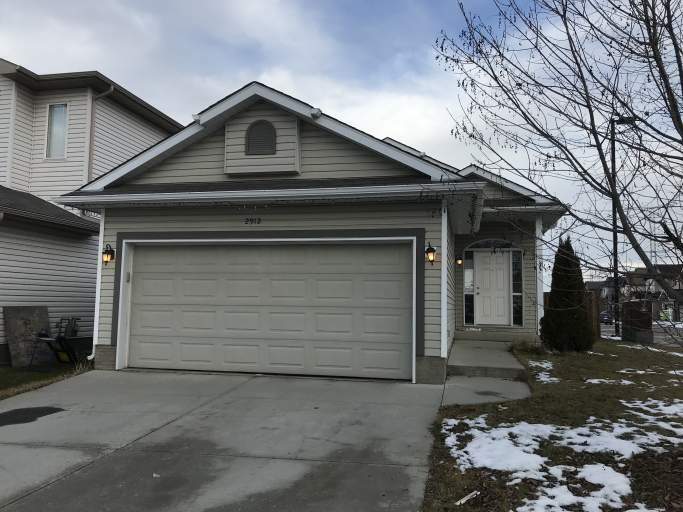 Located in Silverberry, this wonderful 1100 square foot bungalow offers easy access to 23rd Avenue and 17th Street, meaning Meadows Recreation Centre, tons of retail and grocery stores and restaurants are all within blocks! Plus, head down 17th Street and find a major shopping including Walmart, Superstore, Sportchek and more! The location offers easy access to the Anthony Henday Ring Road, Whitemud Drive and places you just minutes from Grey Nuns Hospital. You'll love the neighbourhood! The home is freshly painted and ready for an immediate move in! Plus, this home is on a massive corner lot! Walk inside the front door and find a spacious living with tons of natural light and gorgeous laminate flooring, head into the kitchen and find modern cabinetry, tile backsplash, and a large pantry closet. With tons of cupboard and counter space, stylish black appliances including a brand new fridge with water dispenser and enough space for a kitchen table, you'll fall in love with this kitchen! The main level is also home to a massive carpeted master bedroom with double closets and its own private full bathroom! Two addtional carpeted bedrooms and another full bathroom complete this functional and bright main floor. The basement is entirely finished and offers a large bonus room, two additional rooms and full bathroom with a stand up shower. A large utility room with laundry finishes the basement level. The backyard is fully fenced and offers a large deck making it perfect for summer BBQ's. An attached double garage off the front and a large driveway offers plenty of parking! Don't miss out on this beautiful home! Call or email today to schedule to viewing!